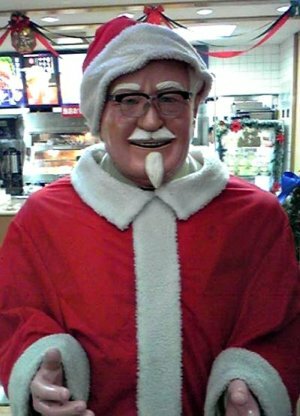 When Christmas comes to Japan, thoughts turn to that jolly old man, Harland Sanders. America’s Kentucky Fried Chicken came to the Land of the Rising Sun in 1970, and homesick expat Yanks soon began gobbling the deep-fried fowl for the holidays. Japanese folks give Yuletide luxury gifts to their sweeties, and many have adopted this exotic Christmas culinary custom, too. Those who can afford it, that is. 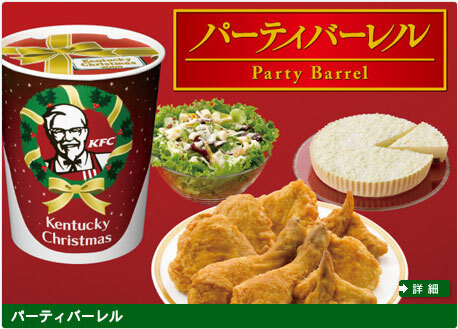 A KFC Christmas Barrel costs about US$40. 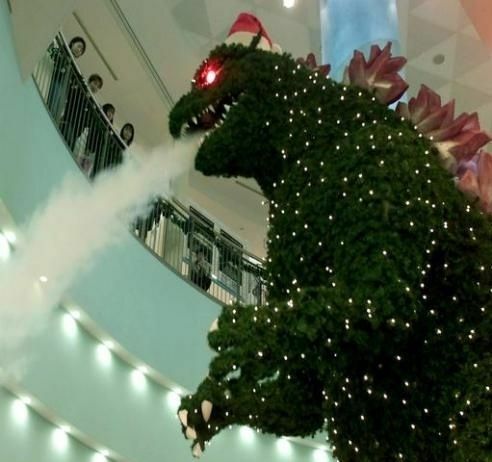 So クリスマス用のケンタッキー (Kurisumasu ni wa kentakkii! “Kentucky for Christmas!”) and to all a good night. This entry was posted on December 24, 2012 at 1:00 am and is filed under cuisine, dining, food, holidays, Japan, junk food, poultry. You can follow any responses to this entry through the RSS 2.0 feed. You can leave a response, or trackback from your own site.